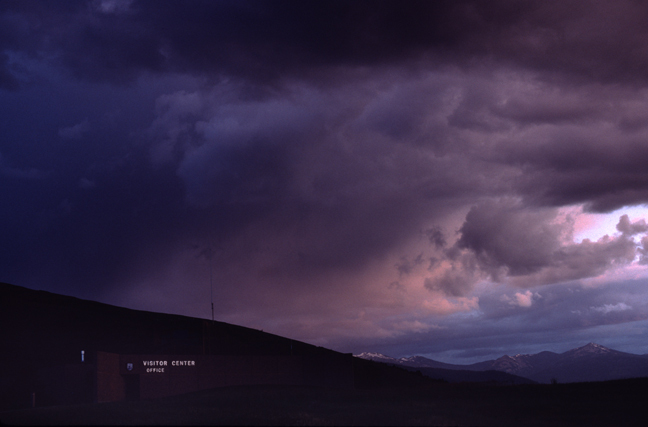 An evening thunderstorm passes over the refuge Visitor Center. The Refuge is connected to the Mission Mountain Range by a gradually descending spur that ranges from 4,885 feet on Red Sleep Mountain to 2,585 feet at headquarters. 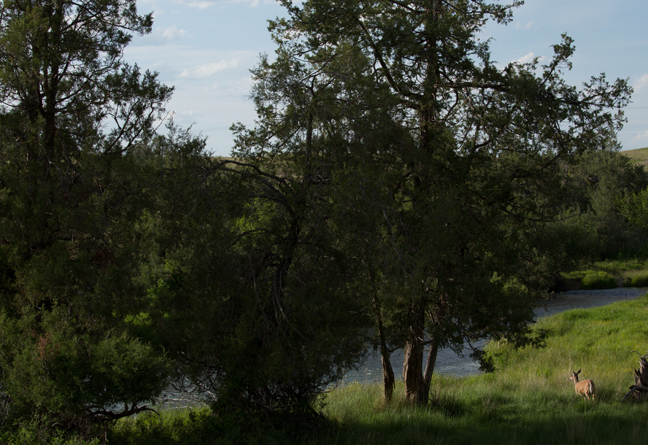 Much of the refuge was once under the prehistoric Glacial Lake Missoula that attained a maximum elevation of 4,200 feet, so the upper part of the Refuge was above water. President Theodore Roosevelt established the Range in 1908. It was the first ever Congressional appropriation of tax dollars to buy land specifically to conserve wildlife. The original herd was purchased with private money raised by the American Bison Society and then donated to the Refuge in 1909 . 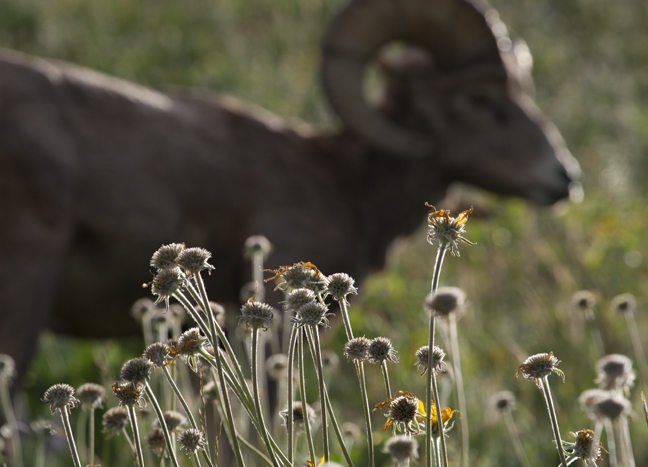 Today, the refuge supports 350-500 bison and visitors also commonly see White-tailed and Mule Deer, Pronghorn Antelope, Rocky Mountain Elk and Big Horn Sheep. 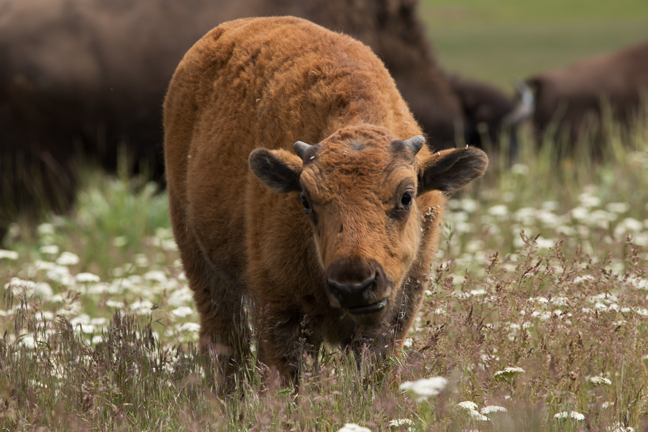 Bison calves are nursed for up to eight months and are fully independent within a year of birth. Before their near extermination, an estimated 30-60 million bison inhabited North America. 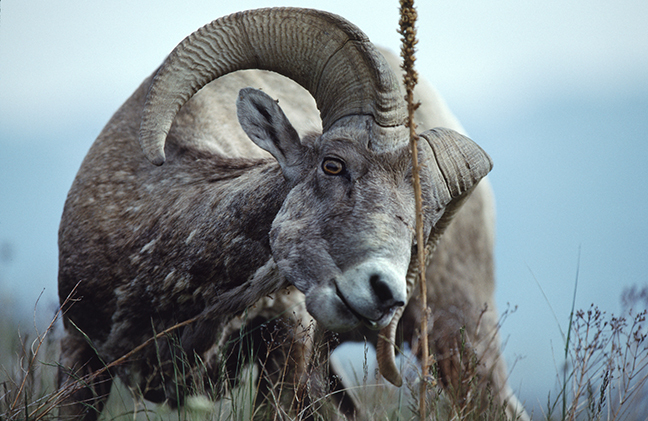 By about 1890, about 1,000 remained, including two dozen in Yellowstone National Park. 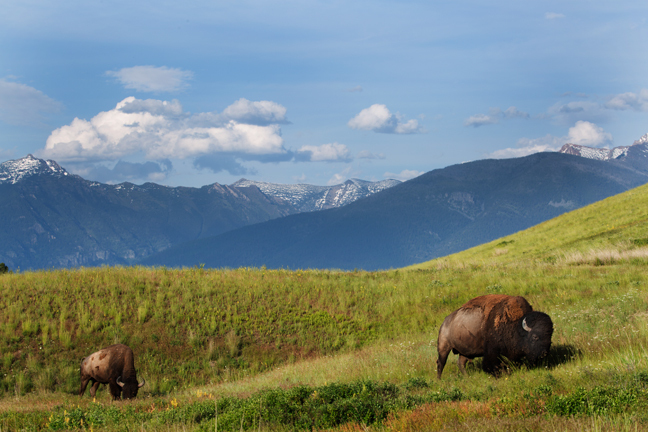 The Park is the only place in the U.S. where bison have lived continuously since prehistoric times. 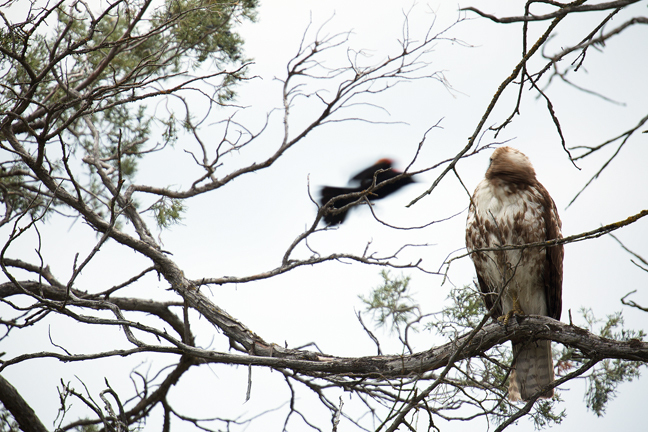 A Red-winged Blackbird harasses a Red-tailed Hawk adjacent to the refuge's marsh. Other common raptors in the refuge include Northern Harriers, Rough-legged Hawks, Golden Eagles and American Kestrels. 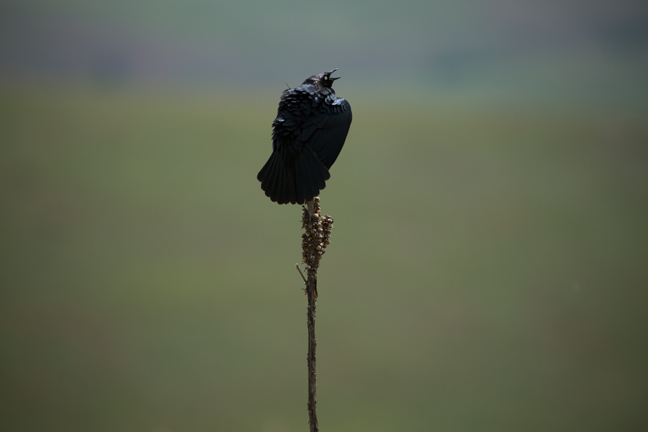 Other common Blackbirds include Western Meadowlarks and Brewer's Blackbirds. Northern Orioles are common throughout the summer. Brewer's Blackbirds are common three-season breeding residents throughout the refuge. They are smaller than Common Grackles, with shorter tails and a shorter, smaller bill. 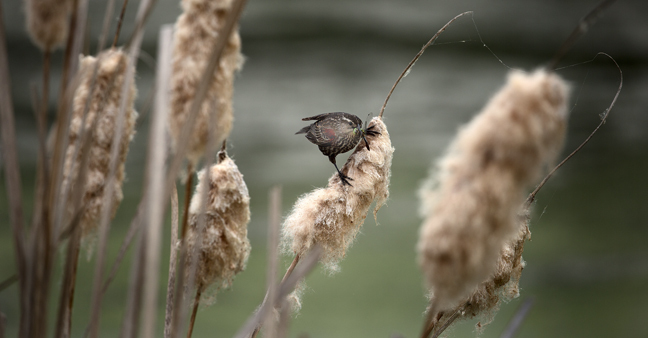 A female Red-Winged Blackbird feeds on a dragonfly in the cattail marsh along Mission Creek, adjacent to the picnic area at the refuge. 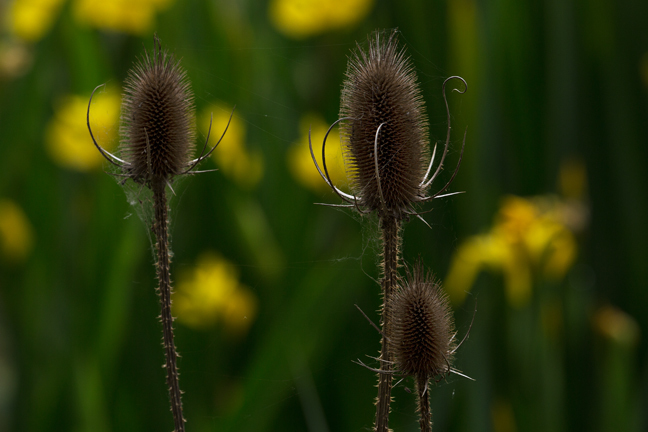 Teasel seed pods against a backdrop of yellow irises in the Refuge marsh. 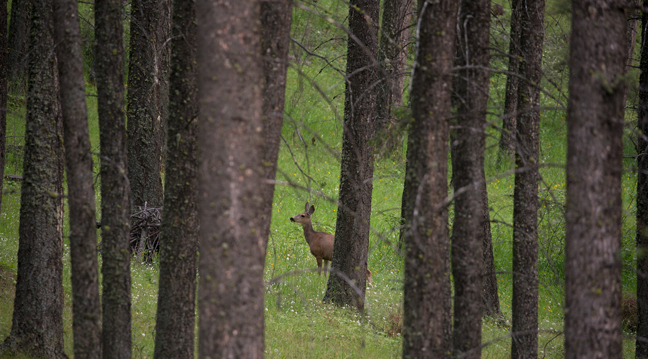 A White-tailed Deer walks down to Mission Creek along Prairie Drive. 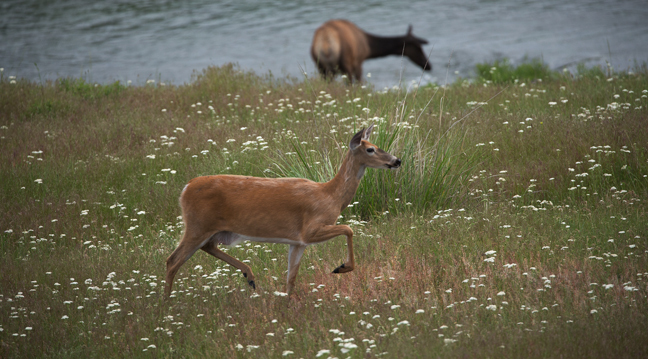 A White-tailed Deer prances through a field of Queen Anne's Lace while a female Rocky Mountain Elk drinks from Mission Creek along Prairie Drive. 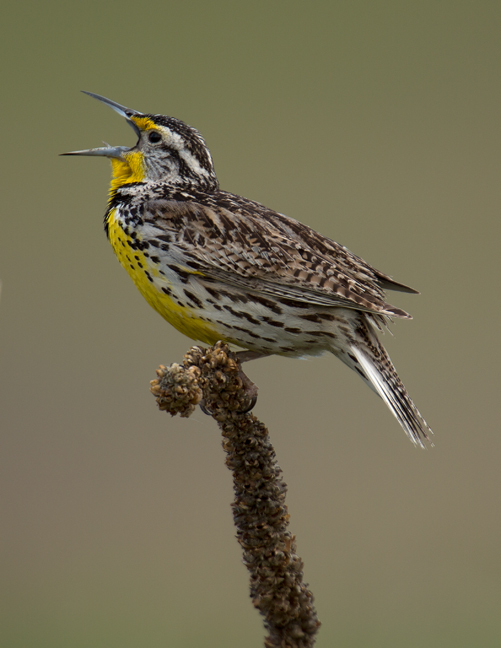 Western Meadowlarks can be heard calling throughout the refuge each spring. 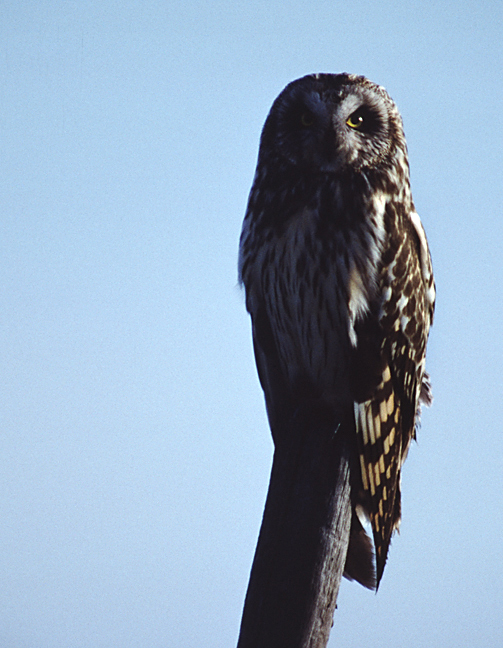 The Owl Research Center, housed in the nearby Ninepipes Center, believes that the Short-eared Owl is an indicator species of the health of the region's grasslands, marshlands and shrub-steppe habitat. 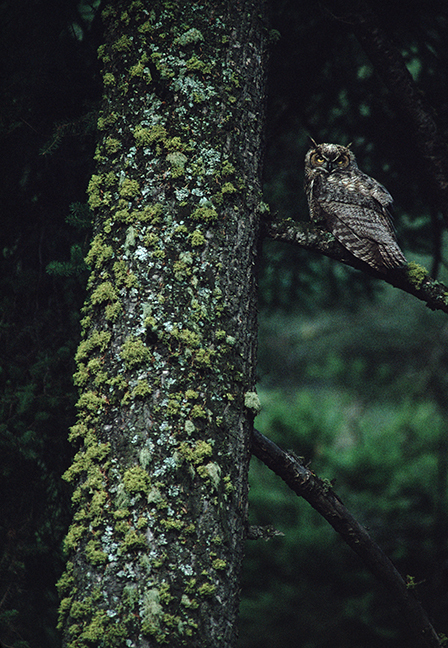 The Great-horned Owl is the most widely distributed true owl in the Americas. They live in trees that border deciduous, coniferous and mixed forests, tropical rainforests, pampas, prairie, mountainous areas, deserts, subarctic tundra, rocky coasts, mangrove swamp forests and even urban areas. They hunt mainly from a high perch often concealed by darkness. They can take birds and mammals even larger than themselves, but primarily feed on rabbits, hares, rats, mice and voles. Prey are crushed by the owl's feet or stabbed with their talons and swallowed whole when possible. Pronghorn Antelope are the fastest land animal in North America and have the longest land migration of any mammal in the continental United States. They migrate between Wyoming’s Upper Green River Basin and Grand Teton National Park, a distance of 150 miles. Only caribou migrate a longer distance in North America. Today, there are a lack of suitable migration corridors and antelope are threatened by traffic, development and impassable fences. 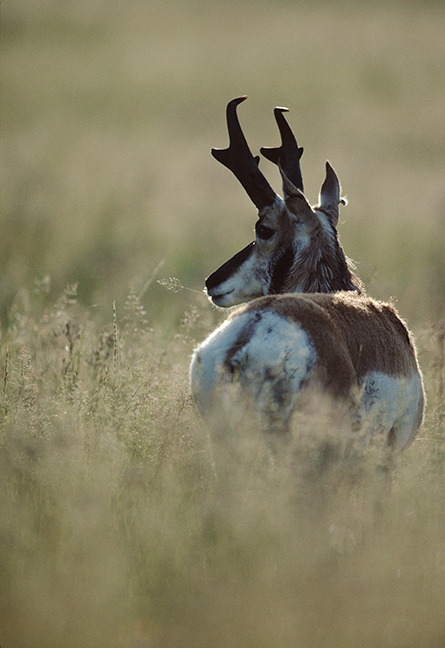 Pronghorns are herbivores and digest their food twice. Food passes through their stomach and is regurgitated (cud) allowing them to break the plant material into smaller pieces so that more nutrients can be absorbed. 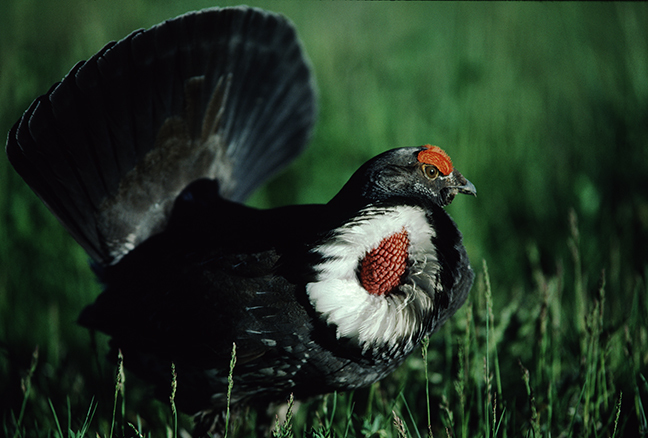 Dusky Grouse (Blue Grouse) are found from southeastern Alaska and the Northwest territories to the southwestern U.S. They can be found in bush areas in coastal rain forests, burn areas, mountain forests and subalpine forest clearings. They breed along conifer and mixed forests in mountainous regions of North America and Eurasia. Their range is associated with that of various conifers. In warm months, they eat seeds, berries and insects and in winter they eat conifer needles. During mating season the male blue grouse will strut, pose and call out with a loud boom that can be heard for miles. The comb over his eyes will stand, he will fan his tail and puff his chest to display his neck sac. A Mule Deer watches attentively as a Black Bear sow and her two cubs dig for food amidst the Douglas Firs that grow along the north slopes of the Refuge along Red Sleep Mountain Drive. Two Black Bear cubs romp amidst the Douglas Firs that grow along the north slopes of the refuge along Red Sleep Mountain Drive. The refuge supports a managed herd of about 100 Rocky Mountain Elk. 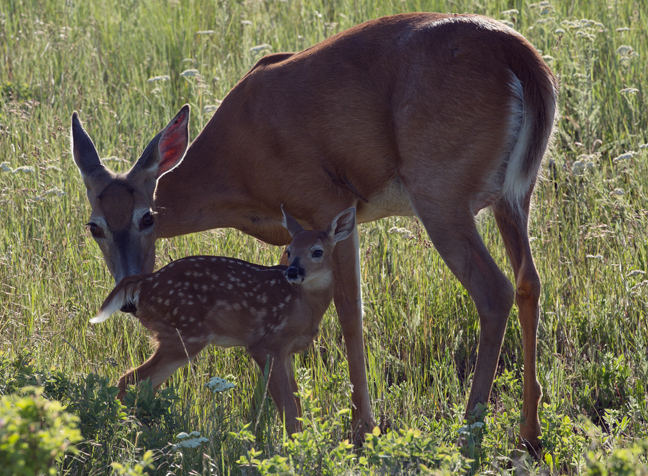 After shedding each winter, antler growth begins again in early spring. 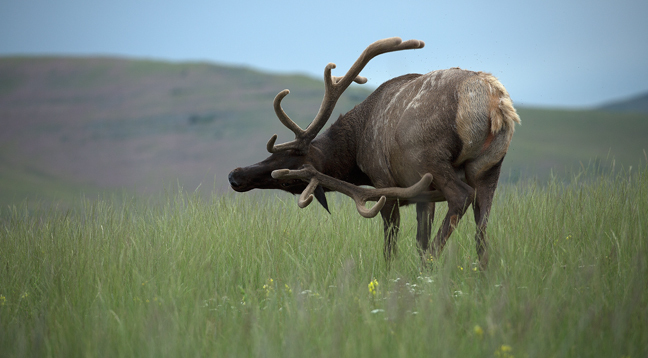 New antlers are covered with numerous blood vessels referred to as "velvet." Antlers serve to impress cows and are used to fight with other males for breeding rights. 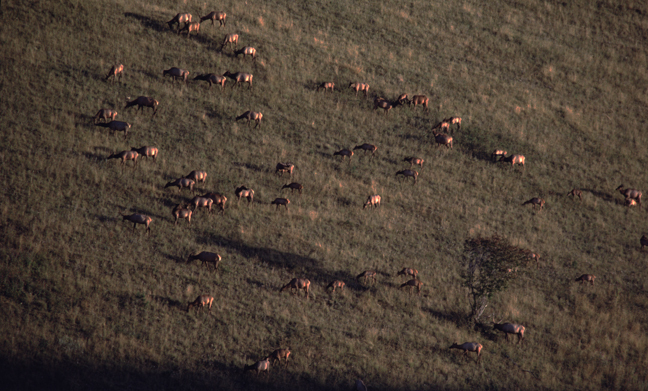 Elk congregate in the evening to graze in the refuge's prairie grasslands. Bison, elk and antelope feed on different kinds or parts of plants at different growth stages, thus minimizing competition. 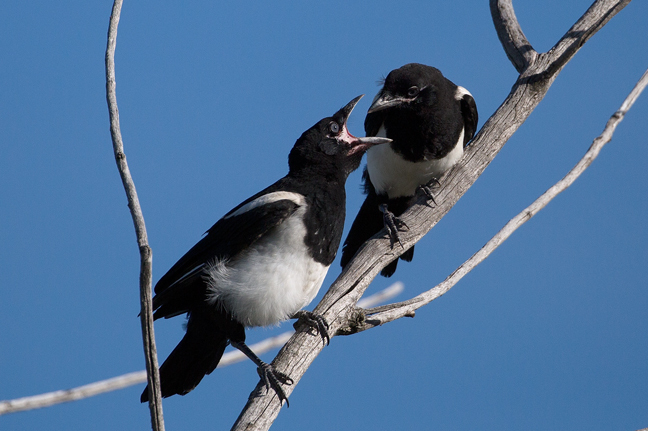 Immature Black-billed Magpies socialize along Prairie Drive along Mission Creek.